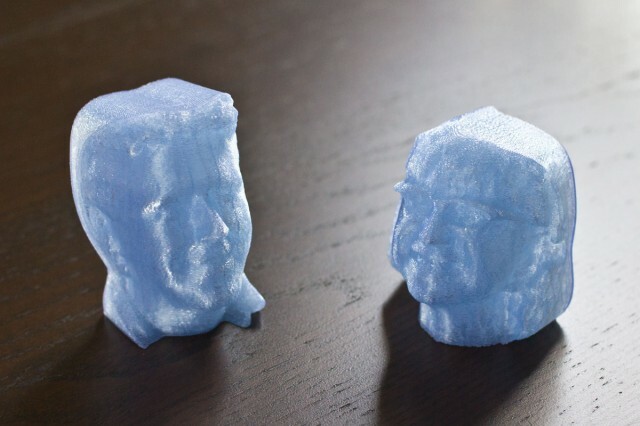 Not only does he have unfettered access to Replicators to print anything from a little sheep to the members of his gnome army, but we could take advantage of one of the things offered at the brick and mortar store: a 3-D bust of our heads! 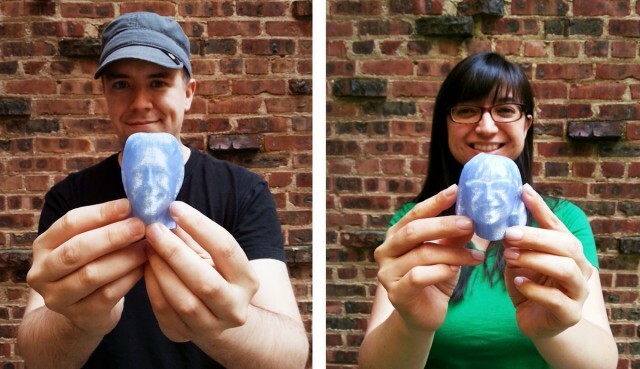 So a few weeks ago, we took a little trip to the Makerbot store in NoHo where we had our heads photographed—and later rendered into a 3-D file that we could print! 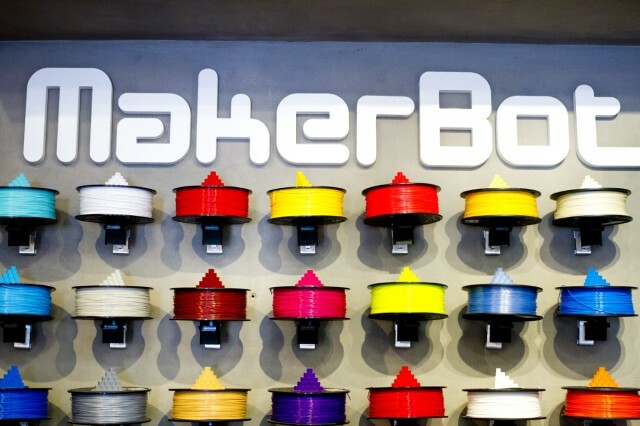 The store is full of cool printed objects, from three-dimensional rotating puzzles to a display of the Robohand, a hand that was printed for a man who lost his and for children born with Amniotic Band Syndrome. 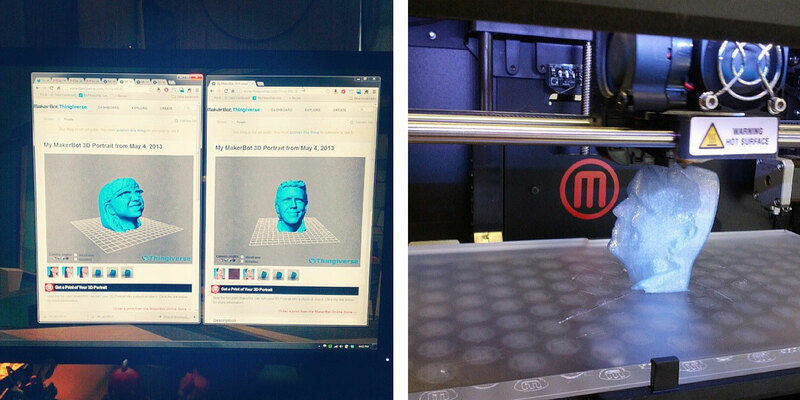 Everything is made out of plastic in the Replicator, two different types (PLA or ABS). 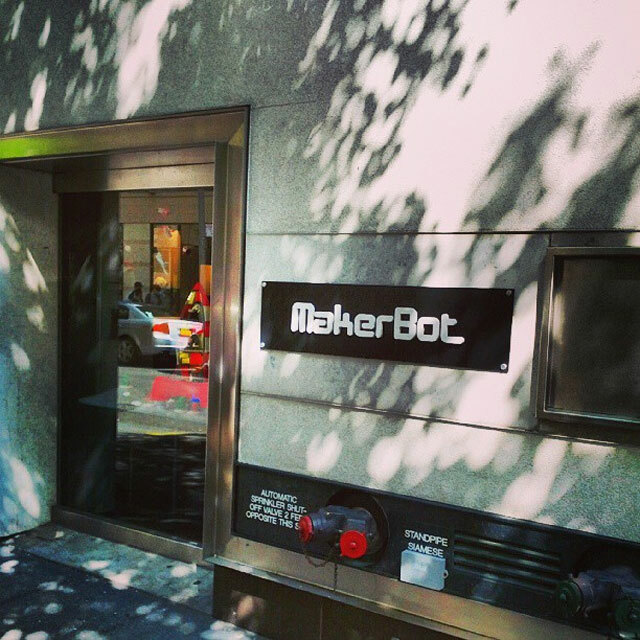 If you ever find yourself in the NoHo area of New York be sure to stop in, say hi and get your head scanned too (it’s free and fun)! Pro-tip: wearing a hat doesn’t really render well and glasses can be hit or miss. 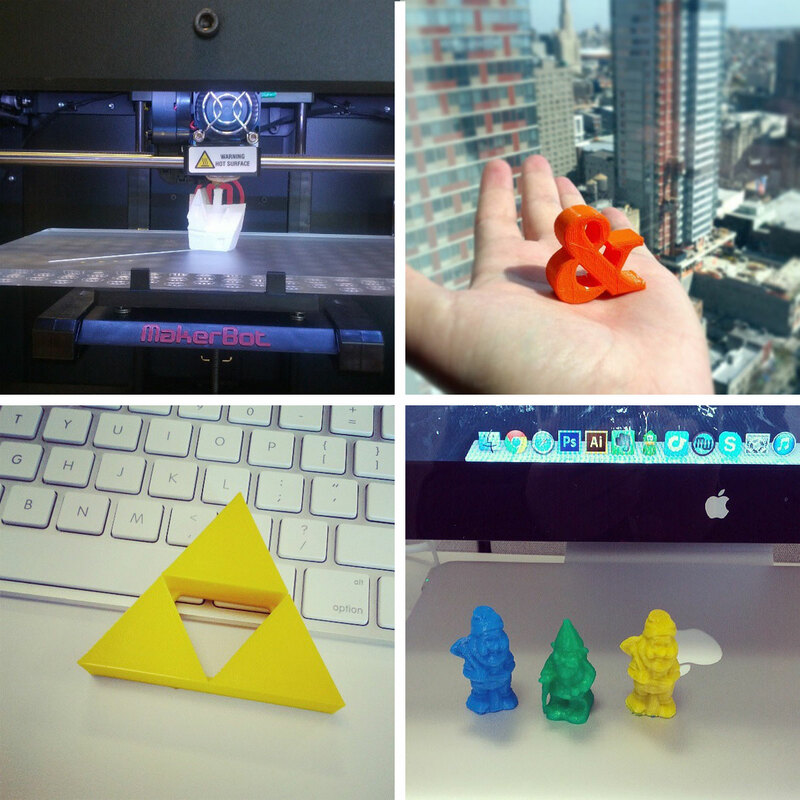 Print your own versions of what you see on this page: Tiny House, Ampersand, Zelda Triforce, Gnomes (blue/yellow or green). That is so fun! It sounds like a pretty awesome new job!